MRM’s Daily Bite is filled with #WednesdayWisdom and features news from the ment’or BKB Foundation, Fogo de Chão, Beerhead Bar & Eatery, Rye Plaza and Bolster, Snow & Co. The ment’or BKB Foundation is now accepting grant applications for the fourth annual ment’or Program for Continuing Education. The ment’or Grant Program is designed for chefs with at least three years of full time work experience. The program awards one- to two-month grants both stateside and internationally that cover housing, transportation, salary and basic living expenses. This program is designed to provide young chefs with unique opportunities to expand their training and skills. Through this initiative, established mentors from some of the country and the world’s top restaurants open their doors and provide invaluable access and training for young chefs. Grantees are able to learn new techniques, work with different products, as well as understand different styles of kitchen cultures and approaches to food and hospitality. Grants are open to all young cooks in the US and for this year’s program, ment’or is pleased to announce a new partnership with the Hawaii Food & Wine Festival to support young chefs in Hawaii that wish to stage on the mainland or abroad. Noma in Denmark, Marea in New York, Manresa in California, Pujol in Mexico, and Attica in Australia are just a few of the world-renowned restaurants that open their doors to young culinary professionals through ment’or. Applications are now being accepted through Friday, Dec. 15. Additional details can be found on the ment’or website. The ment’or BKB Foundation is a nonprofit that aims to inspire excellence in young culinary professionals and preserve the traditions and quality of cuisine in America. Ment’or is led by Founders Chefs Daniel Boulud, Thomas Keller and Jérôme Bocuse, as well as an esteemed Culinary Council of over forty renowned chefs. Educational grants and internships are offered to culinary professionals through the Continuing Education Program. 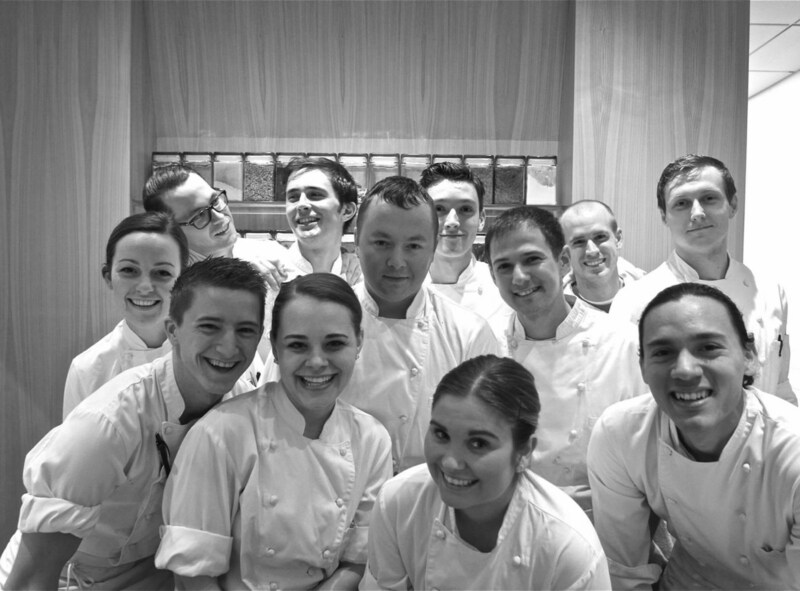 The Young Chef and Commis Competition series offer yet another opportunity for them to further their careers. Ment’or is also responsible for recruiting, training, and financially supporting the promising young American talents who represent Team USA in the prestigious biennial Bocuse d’Or competition, held in Lyon, France. For the first time in history, Team USA 2017 won the coveted Gold Medal at the Bocuse d’Or. 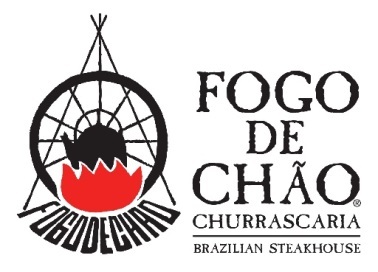 Brazilian steakhouse Fogo de Chão has expanded its U.S. restaurant base by opening its first Michigan location in Troy, and its third Florida location in Jacksonville. The two openings mark the 49th and 50th locations, worldwide, for the international restaurant brand. The Troy restaurant, located at 301 Big Beaver Road, is now open and part of the Big Beaver Corridor which features an array of shopping, restaurants and hotels that serve both the residential and corporate office spaces that anchor the area. The Jacksonville restaurant is now open at the booming Town Center Area at 4784 Town Center Parkway, and is surrounded by some of the city’s best entertainment, shopping and dining. Each restaurant features a ten foot tall bas relief rendition of O Laçador, a famous statue constructed in 1958 in Porto Alegre, Brazil, the home of the original Fogo de Chão. The statue pays homage to an influential leader of the gaucho culture named Paixão Côrtes. Additionally, there is a large glass viewing area of the kitchen showcasing the open-fire grill and allowing guests a view of Fogo’s gaucho chefs roasting high-quality cuts of meat in the centuries-old Brazilian tradition of churrasco. Both restaurants also have excellent group and private dining options. Like all Fogo de Chão restaurants, the new locations give guests a unique experience called espeto corrido, or continuous tableside service. The menu is anchored in a variety of fire-roasted meats expertly prepared and carved tableside by gaucho chefs. Guest favorites include a new Cowboy bone-in Ribeye, double-cut Lamb Chops, and house-specialty Picanha, the most prized Brazilian steak. 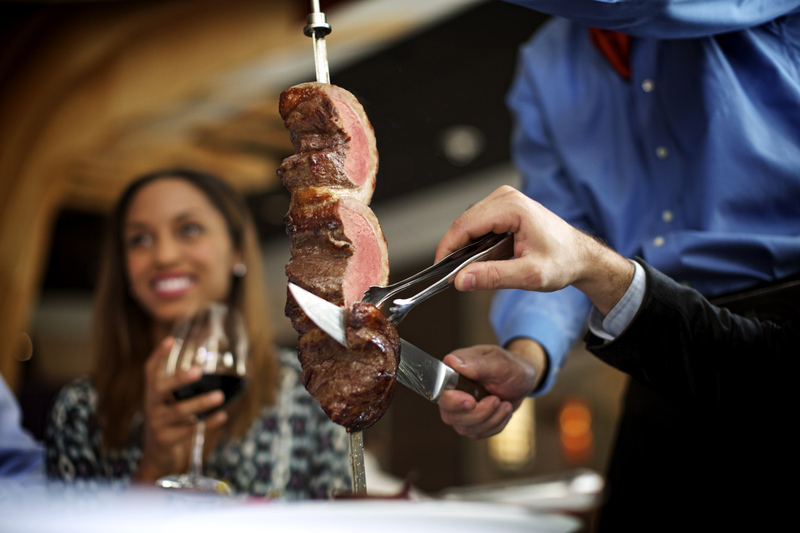 In addition to the full churrasco experience, the restaurants offer many ways for guests to enjoy Fogo at a variety of prices and portion sizes including weekday lunch starting at $15, weekend Brazilian brunch, Bar Fogo as well as seafood and vegetarian options. 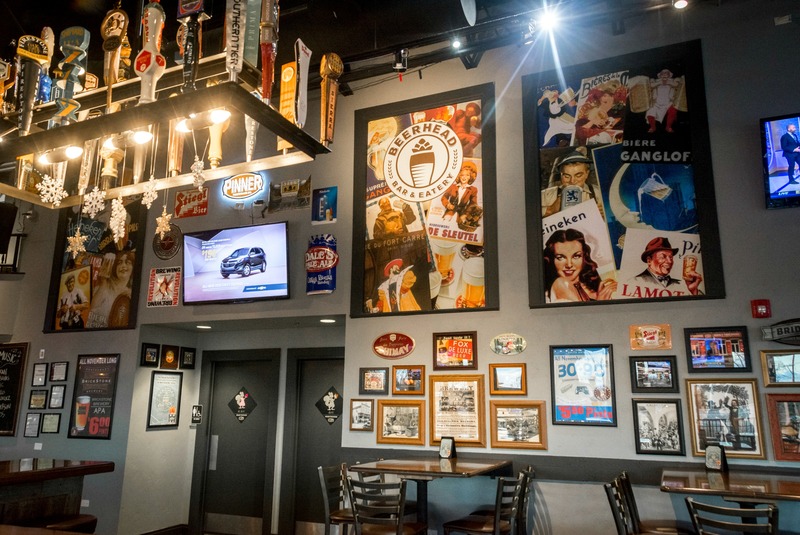 Beerhead Bar & Eatery debuted an updated concept design at its legacy location at 1270 South Milwaukee Avenue in Vernon Hills, Ill. 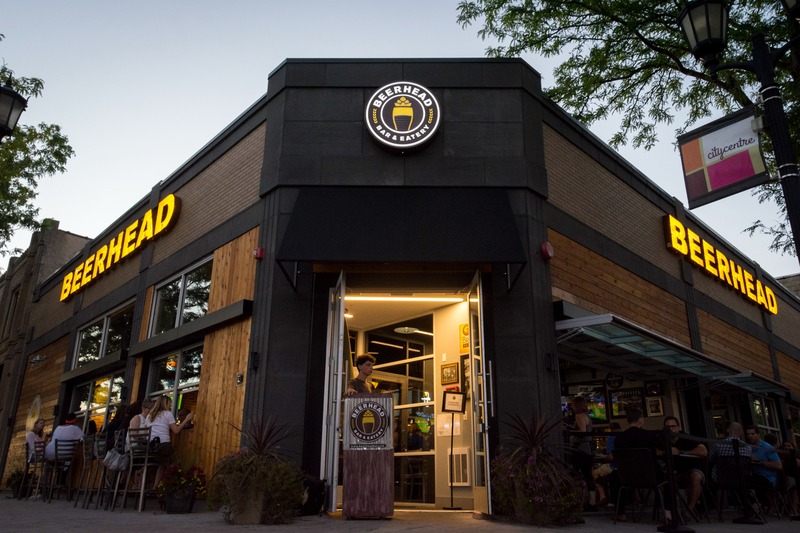 Formerly known as The Beer Market, Beerhead in Vernon Hills has undergone changes in addition to its name including a new logo, color scheme, interior decor, seating changes and the addition of a kitchen. The transition is part of the company’s revitalization strategy as it enters its next phase of growth throughout the Midwest. In a relaxed, fun atmosphere, Beerhead aims to expose guests to a seemingly infinite world of new craft beers and spirits to try from all over the world served by highly trained and knowledgeable staff. At any given time, there are nearly 500 brands of beer and other beverage choices available to guests including local favorites like Tighthead, Lake Bluff or Ten Ninety Brewery. With the kitchen addition, Beerhead will feature a lunch and dinner menu featuring MYO Avocado Toast, specialty pizzas, the brand’s signature Barbarian Pretzel and desserts. Brunch will also be available on Saturdays and Sundays and will offer menu items like Chicken & Waffles, Breakfast Pizza and drink specials. Just as Beerhead focuses on local and regional American craft beer selections, its food menu highlights locally sourced ingredients as well. “We pride ourselves on the experience we provide our guests. 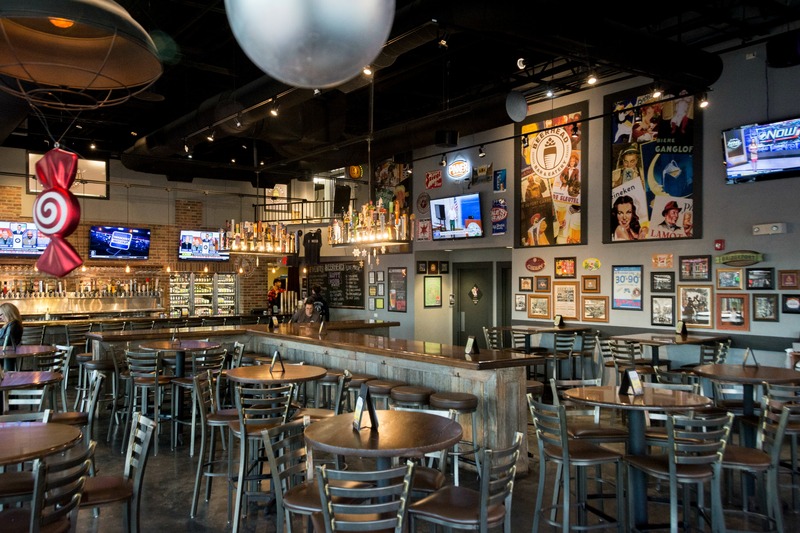 Beerhead is truly a place where all can gather to enjoy great American craft beer, wine and other drink specialties, live music, a fun community atmosphere and now excellent food. We’re excited to expand our presence in other markets to create a local environment tied to surrounding breweries and distilleries,” Burton added. Beerhead currently has seven locations and is rapidly expanding in craft beer rich regions of the Midwest including Illinois, Michigan, Indiana, Wisconsin,Ohio, Pennsylvania and surrounding areas. The new concept design of Beerhead and the simplicity of the business model allows franchisees to streamline operations. The brand estimates it will open 30 stores over the next three to four years. 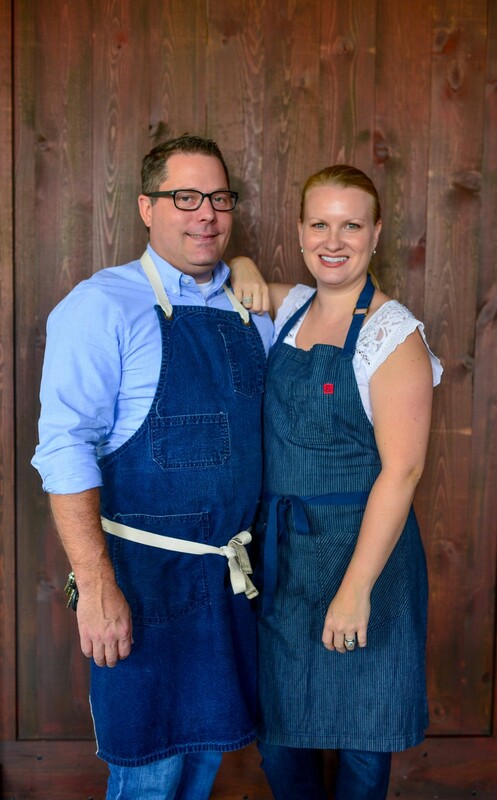 Chefs Colby and Megan Garrelts, the husband and wife chef duo behind Kansas City’s Bluestem, unveil Rye Plaza, the second location of their restaurant, Rye. Located just south of downtown in the Country Club Plaza. Rye Plaza features the Midwestern flavors and design elements guests have continued to enjoy at the original Leawood, KS location. Bolster, Snow & Co., restaurant, top photo, opened in late September in Portland, Maine and is led by Executive Chef Nicholas Verdisco, previously of The Inn at Pound Ridge by Jean-Georges in Pound Ridge, New York. The menu is a reflection of Chef Nicholas’ Italian upbringing and experience with French and Asian flavors, creating a modern American approach to Maine seafood as well as Italian and French classics. Diners should expect special touches such as Pecorino butter with bread service and elegantly plated dishes served in a friendly, comfortable atmosphere. The Francis Hotel opened in late September 2017 following an extensive two-year renovation. The fifteen room boutique hotel is named in tribute to Maine architect Francis Fassett, who designed the building originally as a home for prominent businessman Mellen E. Bolster in 1881. 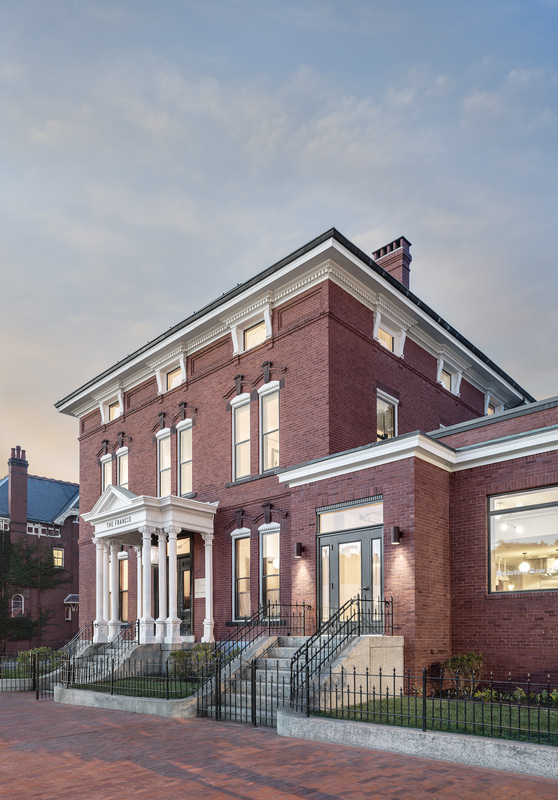 Fassett is credited with helping rebuild much of the city after the Great Fire of 1866, heavily influencing the look and feel of Portland’s historic West End neighborhood, where The Francis is located. The property is on the National Park Service’s Registry of Historic Places and received a Maine Preservation 2017 Honor Award celebrating outstanding examples of historic preservation and revitalization in Maine. Bolster, Snow & Co., is named after one of Mellen E. Bolster’s businesses. In addition to the restaurant, The Francis has its own spa and amenities include mini-bars with Maine craft liquor and beer, complimentary off-street parking for The Francis’ guests, elevator service, and 24-hour front desk concierge services. Reservations may be made by visiting thefrancismaine.com or calling 207-772-7485. The hotel’s interior was designed by Tracy A. Davis, of Urban Dwellings. Bolster, Snow & Co., and The Francis are part of Uncommon Hospitality based in Maine.